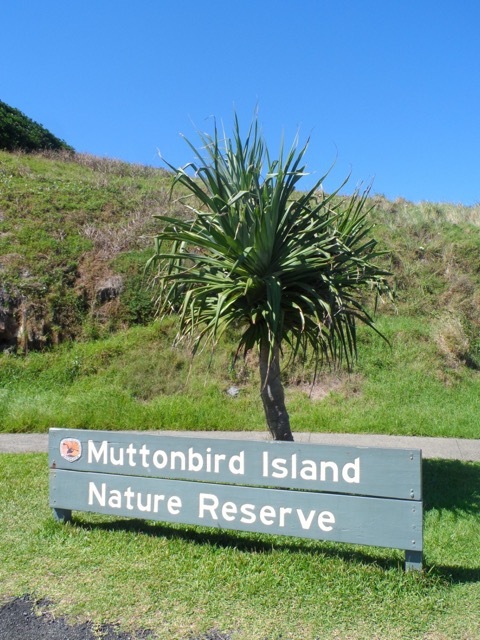 Muttonbird Island marks the southern boundary of the Solitary Islands Marine Park. The island is easy to get to due to the breakwall that joins it to the mainland. 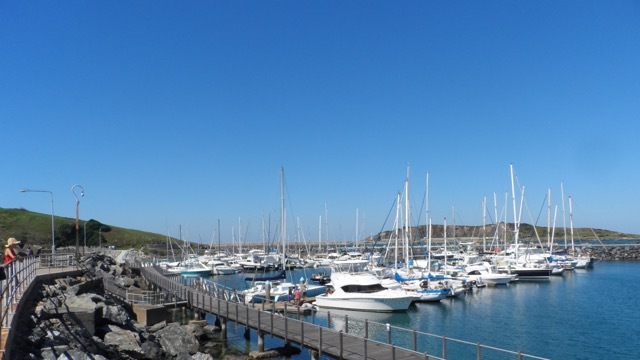 This sheltering arm protects the marina, with its fleet of fishing boats and yachts and means that you can walk out at any time (sunrise to sunset) to get on to the island. There a number of aspects to visiting which makes it an interesting place to explore. 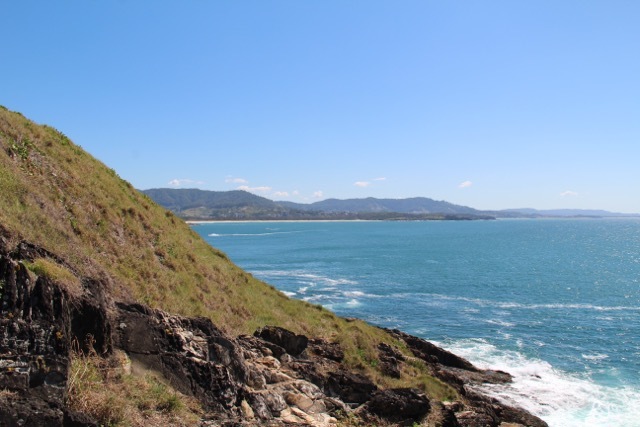 There's a paved pathway that runs over the spine of the island that offers great views of Coffs Harbour, the coast and the Solitary Islands. The viewpoint on the far (east) side is a key spot for whale watching during migration season. In addition to the beautiful scenery, there's Aboriginal history to discover and the island is the breeding home of the wedge tailed shearwater, a migratory bird which returns each year, to lay it's eggs in burrows on the island. 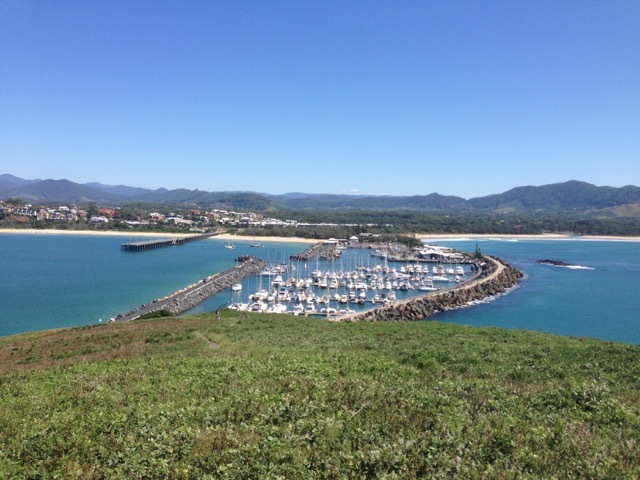 So with scenery, history, whales to watch in winter and birds in summer, it's a must on your itinerary if you are visiting Coffs Harbour. 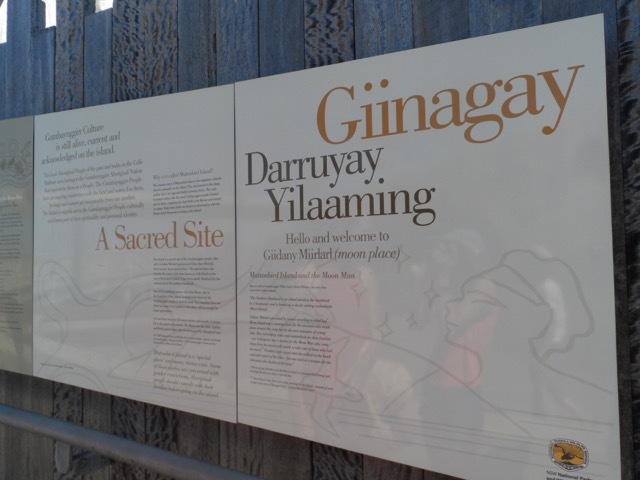 Muttonbird Island is a sacred site to the local Gumbaynggirr Aboriginal people, who call the island Giidany Miirlarl, meaning moon sacred place. Associated with a dreamtime story about the moon falling into the sea, this story and others are explained at the Muttonbird Island outdoor learning space. The display is at the base of the western side of the island. Aboriginal Discovery Rangers conduct tours of the island, explaining its flora and fauna and telling the Dreaming stories. There are also full moon tours. 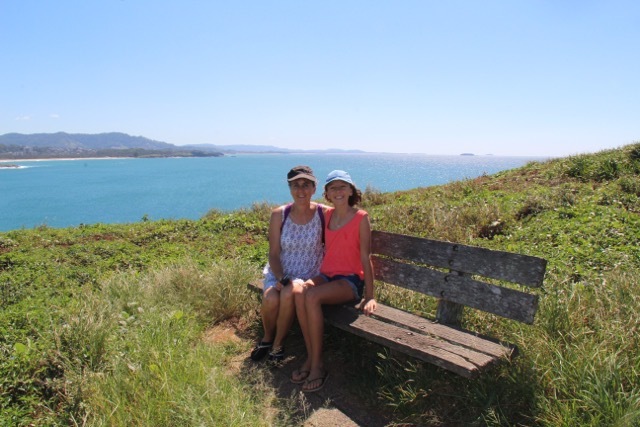 Click here to read an interview with one of the Coffs Coast Rangers, Ann Walton. For more information contact the NPWS at the Coffs Coast Area Office on (02) 6652 0900. 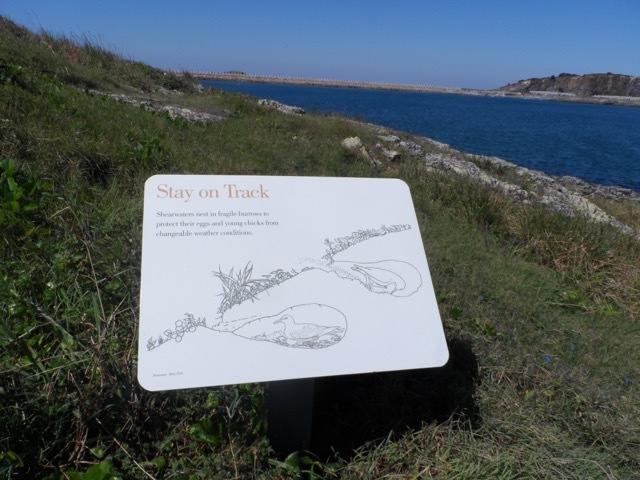 The island is a Nature Reserve and the life cycle of the wedge-tailed shearwater, a migratory bird that returns each year to breed here, is explained on signs as you walk the island. Known as the muttonbird to the early settlers, due to its fatty mutton like flesh, these birds travel from South East Asia to lay their eggs and raise their young in the Solitary Islands area. Returning from their annual northerly migration in August, the same pair of birds will reuse the same burrow each visit, to lay a single egg. Both male and female share the care of the egg and the chick, feeding it until around mid April, by which time it has grown so chubby it weighs more than its parents and can have difficulty getting out of the burrow. Most of the adults leave the island on migration first and the chicks follow, setting off by the end of the first week in May. Since the burrows are underground you are asked to: "Please stay on the track - the plant cover is almost completely undermined with muttonbird burrows which can cave in and kill or maim adult muttonbirds and chicks during the breeding season". Park your car at the yacht club car park and walk out on the breakwall, past the fishing boats and yachts moored in the marina. There are usually people fishing off the causeway with their lines in the clear waters below and others working on their boats. The scene is lovely. The other end of the wall joins the island and it's at this point you can stop and read about the island and it's aboriginal history on the display boards. The paved pathway starts here and heads up the hill to a lookout point. The views are really worth the climb. It's moderate, not steep. If you are walking with a pram it might be easier to use a back carrier or pop your child on your shoulders, as pushing a pram up the hill would take a bit of effort. Take some time to sit on one of the benches and enjoy the scenery, it really is beautiful. There are signs telling you about the wedge tailed shearwaters and August through to April is the time to see them. The path arches up and over the other side to another vantage point, which is where you want to be if you want to whale watch from shore. At the eastern end of the island path, perched above the crashing ocean below, is a lookout platform, which offers a clear view of the Solitary Islands Marine Park. This is your spot for seeing the migrating humpback whales. The uninterrupted 360 degree views make this spot one of the best for whale watching on the coast. Muttonbird Island is one of the highlights on "The Legendary Pacific Coast Whale Watching Trail" . It doesn't matter how often you may have seen whales before, the sight is still wonderful and exciting. Seeing them for the first time is unforgettable. Binoculars are a great asset to have with you and a rug and picnic are a bonus. The migration starts in cold Atlantic waters and follows the Australian east coast, up to the warm ocean waters of Queensland. From late May through to November is when they pass along the Coffs Coast. In June, July and early August you'll see them head north and from late August to early November they pass again, this time heading back down south with their calves. Swimming a little closer to shore to protect their calves can result in the best views for watchers during the southbound months. For more whale watching info and a free app, click here. Click here for whale watching on the Gold Coast.